I have just had the most darling of days! 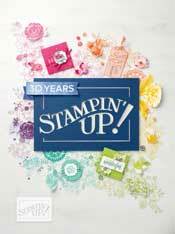 I attended my first ever Stampin' Up! training event today. I have to admit I was rather like a rabbit in headlights to begin with and was totally terrified of being all alone and not knowing anyone! My worst nightmare!! My fears were laid to rest when about 10 seconds within entering the room I felt welcomed, and much more relaxed. EVERYONE was SO nice! I have been a demonstrator for about a month now, and am super glad I've done it! Not only do I get a fabulous discount on wonderful high quality craft products, and share it all with my lovely customers and guests, but I get to go to training events, meet some amazing people who are just like me!! (its so terrific to know I'm not alone out there...there's a who tribe of other wonderful ladies that share my passion and joy!) I would definitely recommend anyone who is thinking of maybe becoming a demo to just go for it! Whatever your reasons, however much you want it to affect your life it is just fabulous and has made me so happy! If you would like to find out more about joining the Stampin' Up! family please email me at amanda_burditt@hotmail.co.uk, I'd love to talk to you and tell you more about all the wonderfulness Stampin' Up has to offer you! The training day, besides from being a fantastic place to meet other demos is also an amazing place to collect a whole host of new ideas! I am STILL buzzing about all I've seen and heard today...I have taken so many photos and stored so many ideas inside my little head I feel I am about to burst! I can't wait to try out some of these things I've seen today and also show them to my lovely customers too! 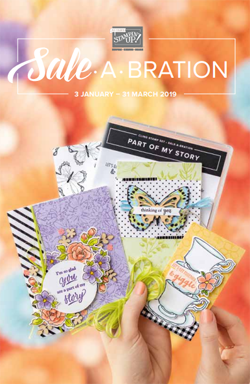 I even got a free stamp set which is coming out in the new mini catalogue on April 1st, it is so cute and sweet, I just cannot wait to show you all! That will have to wait 'till April 1st though! Oh the secrets and suspense hey? The past few weeks I've been busy making swaps, I'll post a photo of my swap and how to make it next week, promise! Anyway, I made about 30 of these and then I got to swap with the other demos today for things they made. I am simply blown away by all the awesome ideas I have bee given, again, my head is buzzing with ideas as I gaze over my couch full of all the gorgeousness! I would just like to thank everyone I got a swap off of for them, they really are amazing and I can't wait to try them out for myself!! :D I am so excited I think the only thing that is going to make me sleep tonight is pure exhaustion! haha! I also have now been introduced to a ton more blogs and I fear my blog time is going to go through the roof...I think I am going to have to limit myself!! EEK! I just want to say thanks again to everyone today that made me so welcome and accepted and for all the beautiful ideas I have been given. I also would like to just acknowledge my wonderful husband's sweetness in giving up his Saturday and more importantly his lie in to drive me to Coventry for the day. He spent it visiting old friends and university house-mates. After my day had finished we went to the Harvester, just down the road from where he used to live for a meal, that place is packed full of memories, to me, no Harvester will ever compare! Thanks again Stuart, I really appreciate all you do! I hope you are all having a good weekend. where did the lovely weather go? !